A large and luxurious historical holiday rental located near Nice in the South of France. The property owners contacted Collective as they were looking to give their incredibly unique holiday home an online introduction that would fit the grandeur of this lovingly restored 17th century château, whilst providing guests with plenty of useful information about their stay. For the branding and design of the website, we kept things classic, simple and elegant – just how you’d expect most things located in this part of the world to be. We created a mobile friendly online brochure-style site, allowing images to take pride of place on each page. 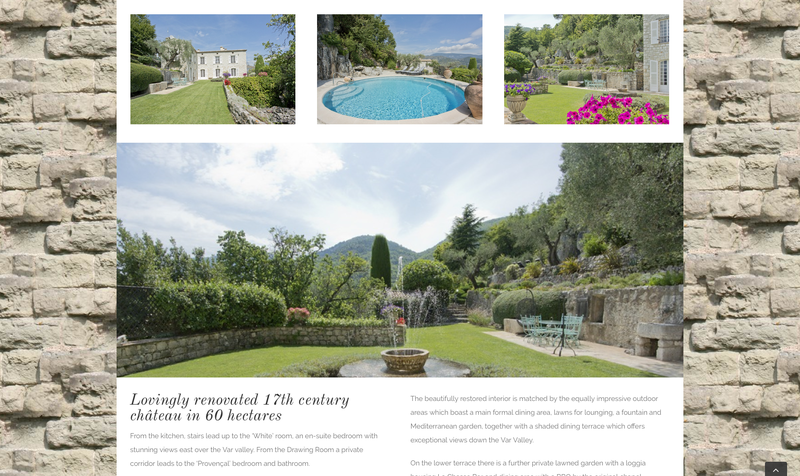 On the homepage, a slideshow banner presents visitors with the most stunning and idyllic images of the property, urging them to read (and look) on. 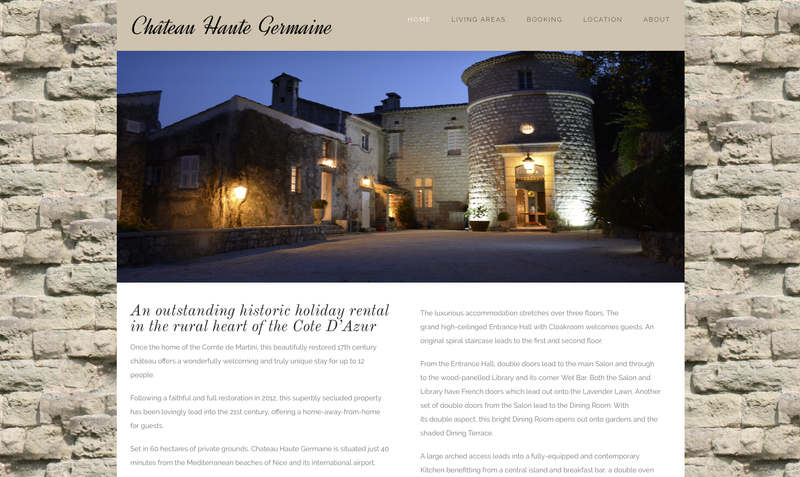 Aside from the homepage banner, images of the property are used throughout all pages and instantly ‘sell’ Château Haute Germaine as an incredible holiday destination whilst descriptive copy is interspersed throughout each of the pages to give context and information about the various features of the residence including history, accommodation and location. 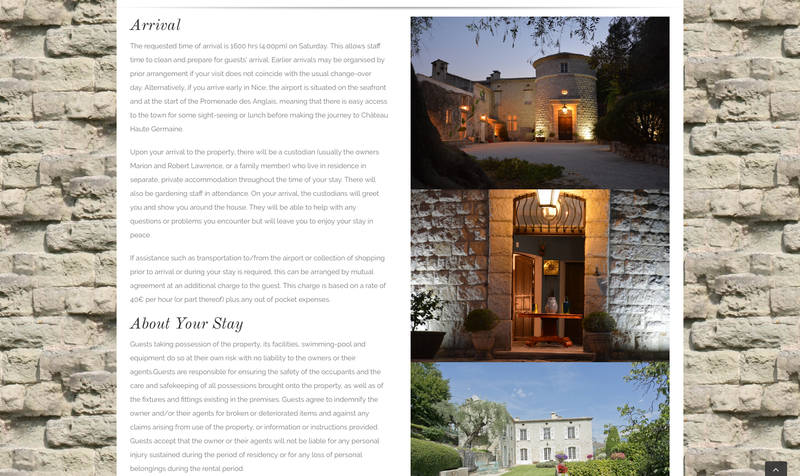 A gallery page also allows users to the convenience of browsing through all images of the château in one place. 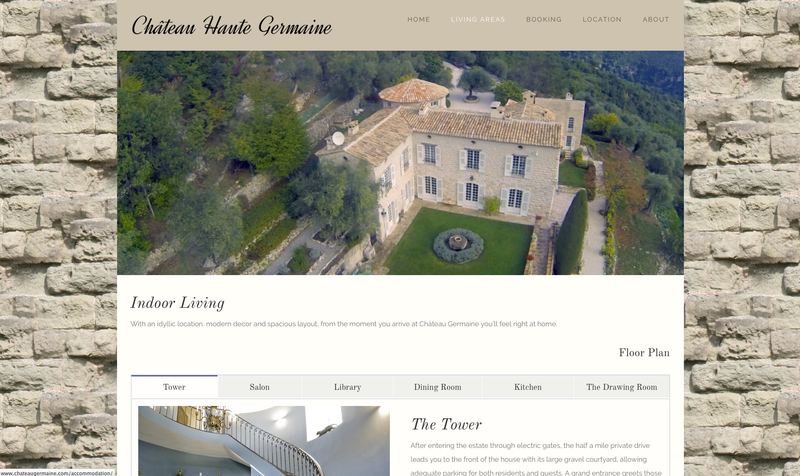 For this project, we were also commissioned to proof, edit and re-write parts of the copy in order to do three things; simplify, optimise, and (perhaps most importantly) promote Château Haute Germaine as an outstanding holiday option for prospective guests.